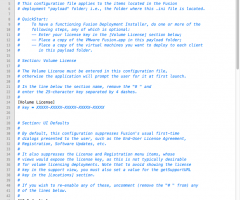 VMware has introduced with the release of VMware Fusion 5/6 a new method to deploy the application and to set some default settings. This method doesn’t seem to be documented by VMware at this time and was found while searching how to set the serial number for the app before deploying. Start by downloading the application from your “My VMware” account, open the disk image and copy VMware Fusion.app to a writable place (like the desktop). 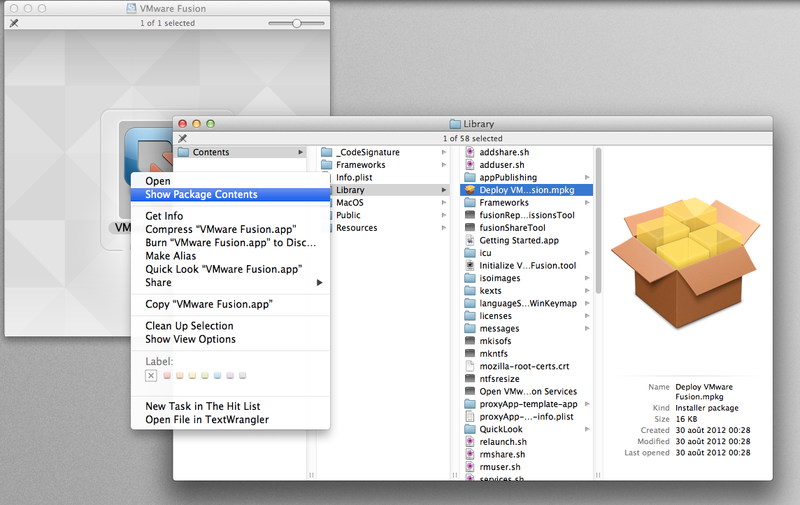 Go to “VMware Fusion.app/Contents/Library/” and copy “Deploy VMware Fusion.mpkg” outside the application. 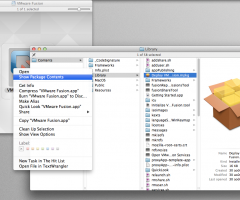 This is the tool offered by VMware to deploy Fusion 5/6, a preconfigured metapackage. VMware now offers the ability to pre-configure some settings by editing the file Deploy.ini that reside in “Deploy VMware Fusion.mpkg/Contents/00Fusion_Deployment_Items”. Before editing the settings, it would be nice to take time to read the whole file. The file is very well documented and requires no specific details. An alternative to this metapackage is available here. In our case, this metapackage is not working with Absolute Manage. 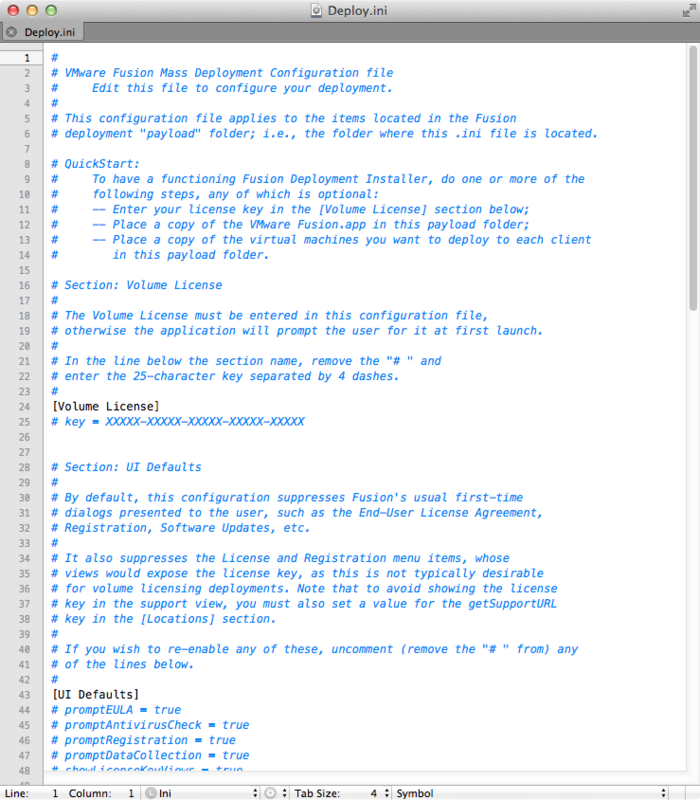 This entry was posted in Deployment, Virtualization and tagged Fusion by Florent B.. Bookmark the permalink.